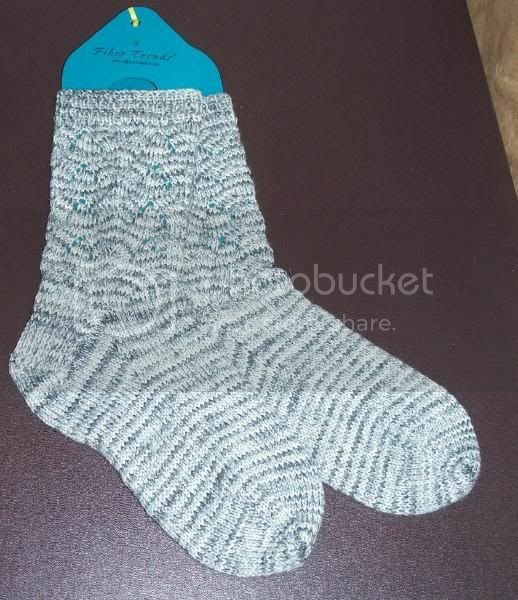 No matter how many times I knit Monkey socks, I never seem to tire of them. This time I made no purl monkeys, and while I do like them, I prefer the original pattern. As my fourth pair of monkeys they won't be my last, and I'm still a long way off matching Gilraens epic stash of monkey FO's!!!!!!!!!!! I hope you hear about the job soon. Nice socks and can I sneak in your suitcase for the holiday, sounds great!!! Well done with the socks! I wish I could really get into sock-knitting - they're such quick knits! Your fitness regime, etc sounds exhausting to a pedestrian person like me, but good luck with the place for the GNR (and the job!). Any news yet on the job front?